GET HELP FINDING THE PERFECT VACATION VILLA ! Delight in everything this cosmopolitan city offers with the comfort of a luxury stay in the capital’s trendiest neighborhoods. Our handpicked Mexico City vacation rentals provide access to the best of CDMX for a vacation filled with discovery and indulgence. From our Mexico City vacation rentals you can explore this energetic, sprawling metropolis which blends old-world architecture with avant-garde designs. The city’s fascinating story spans centuries but is still seen in its award-winning gastronomy, bustling museums, and grand landmarks. Visitors can explore artistic hotspots, visit towering monuments or experience the thrill of a Mexican soccer match in the Estadio Azteca. Keen shoppers can dive into busy bazaars and markets or peruse the world’s finest brands. 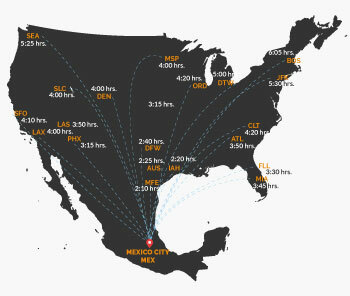 Narrowing the options is tough, but our on-site team of Mexico City experts can help craft the perfect trip for you. HOW TO GET TO MEXICO CITY? Fly into Mexico City International Airport, also known as Benito Juárez International Airport. Speak to a Journey Mexico advisor to arrange luxury transport to your vacation rental. The US. Department of State has said travel to Mexico City is okay. Our private rentals in Mexico City also come with their own security measures. The standard voltage in Mexico is 110-120. Outlets are the same as the US. Mexico City falls in the Central Time Zone. Daylight Savings is in early April and late October. The official currency of Mexico is the Mexican Peso. ATMs are available in most areas. It is advisable to drink bottled water, which is available everywhere. The sun can be strong in Mexico, please be sure to wear sun block for protection. We are located in Mexico with a focus on providing the best villa vacations possible. We personally hand-pick and inspect each villa to ensure they meet our high standards. We create end-to-end luxury villa holidays with in-destination, 24/7 customer service. Nobody knows our Mexican Villas like Jessica! 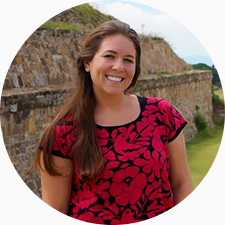 Based in Mexico for nearly 10 years now, Jessica has personally inspected over 120 villas across the country and is always curating the best Mexico has to offer.